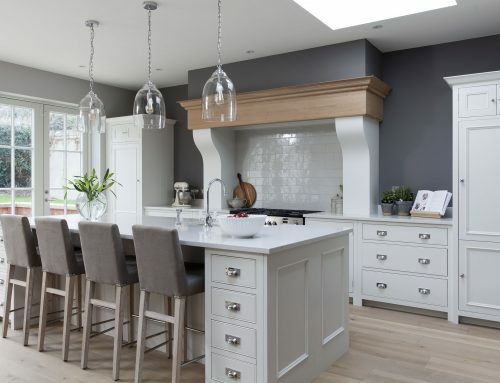 Even with large room designs care and focus are required to ensure our clients have the elegance and flow of a great kitchen layout, as well as a turn key solution for their home. 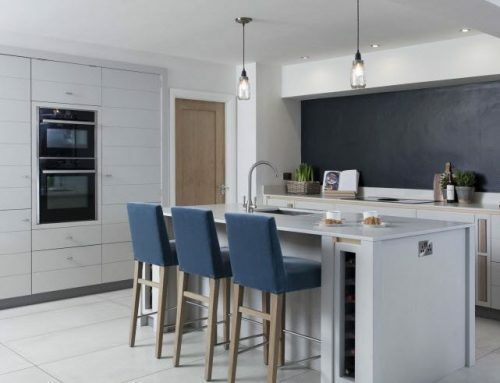 Style, functionality and cabinet choice is key to ensuring our clients can have their dream home they have always wished for. 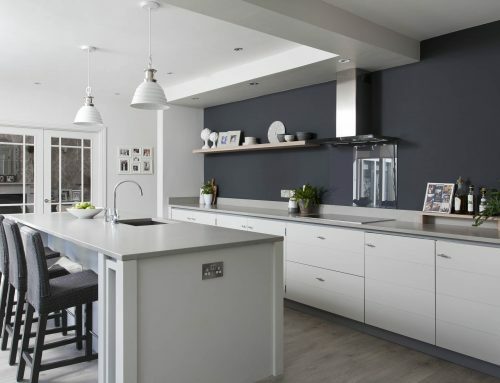 This beautiful large home in Sandymount incorporates our Neptune Chichester kitchen in a Limestone hand painted finish, with a Silestone Black Suede worktop. 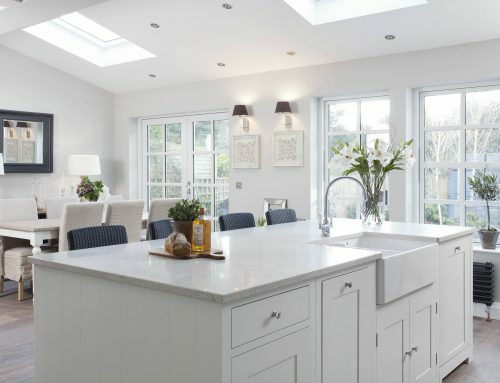 The main feature in this room is the stunning Buckland cooker hood which is designed to be the focal point of this layout. Other features include an eye level oven and integrated fridge on opposite ends of a cream Aga range. 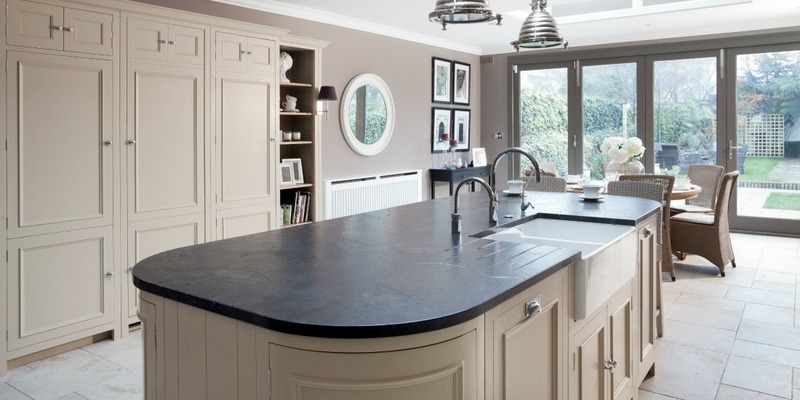 Kitchen islands when designed with function and balance, become the hub and heart of your home. This particular layout includes a working island with a Villeroy & Boch ceramic double bowl sink, a Quooker boiling water tap and Quooker mixer tap. 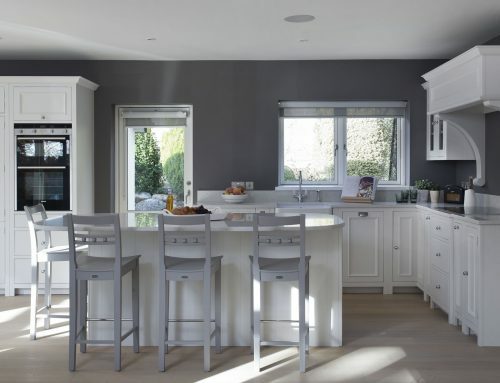 Larger larders and integrated freezer cabinets with signature top boxes, as well as a bespoke open bookcase located on the opposite side of the island cabinets, allow stunning style but also complete functionality and standalone design. Our Henley six seater round table with Havana Llyod Loom chairs and beautiful Edinburgh large console table ensure this home will sustain its classic and elegant look for years to come.